With over 30 years’ experience in Edinburgh’s buy-to-let market and as investors/landlords ourselves, we know exactly which properties will deliver high capital and rental yields. We will view properties across Edinburgh and assess their value and potential. Have a look over some of our most recent case studies to see how we have transformed dated, spacious properties, often with only 2-3 bedrooms, into modern HMO licensed accommodation. Therefore, making sure you will receive the best return on your investment. To source a traditional property with high rental yield potential, which could also offer some increase in value by way of minor works/layout-alterations, located in an area likely to see good capital growth. We sourced a large, 3rd floor property which had good letting potential as either a four or five bedroom Professional/Post-Grad HMO , but only one shower room. We altered the layout slightly by taking a short section of the large dining kitchen and incorporating that into the adjacent existing utility room to create a new internal bathroom with shower and w.c. Other work included a refresh of the décor, and joinery glazing work to ensure HMO compliancy. The client elected to retain the living room and operate as a four bed HMO, giving a higher rent-per-room rate and meeting his rental return expectations. The property is located in the West End and is likely to see increased capital growth as numerous large projects in the immediate vicinity are completed in the near future (e.g. The Haymarket). An excellent property which still retains all original features and does not look or feel like a HMO property, other than in the financial figures it achieves for the client. To source a traditional Edinburgh tenement property that had the potential to form a 6 bedroom HMO property. Originally a five bedroom property with two bathrooms, living room and kitchen, the property required re-modelling to create a compliant 6 bedroom HMO property. A supporting wall required taking down and moved circa 300mm into the room next door in order to form a room wide enough to become the 6th bedroom and comply with the 2.25m wide bedroom arrangement HMO require. The property had HMO licensing upgrades carried out to the electrics and the doors. Both bathrooms were fully refurbished to form modern, three piece suite bathrooms and the kitchen was redesigned to allow for 2 ovens, hobs, fridge/freezers and sinks as required by HMO for a 6 bedroom license. The property has been fully refurbished and redecorated and now provides a high standard of living for students and/or young sharing professionals. To source a property for an overseas cash buyer looking for a long term investment in a traditional property with a good rental yield. 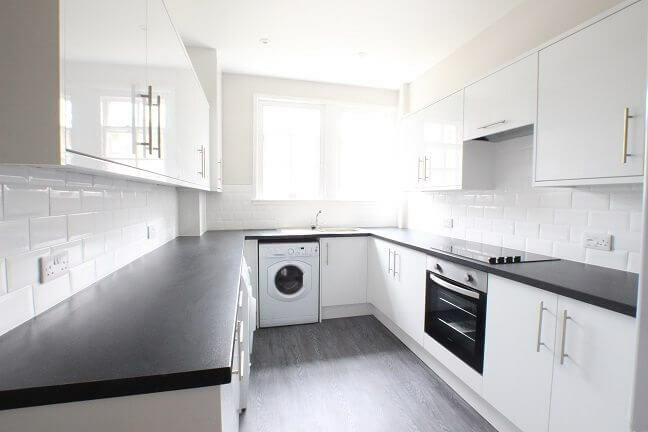 This three bedroom property was sourced to refurbish into a fully HMO compliant flat. 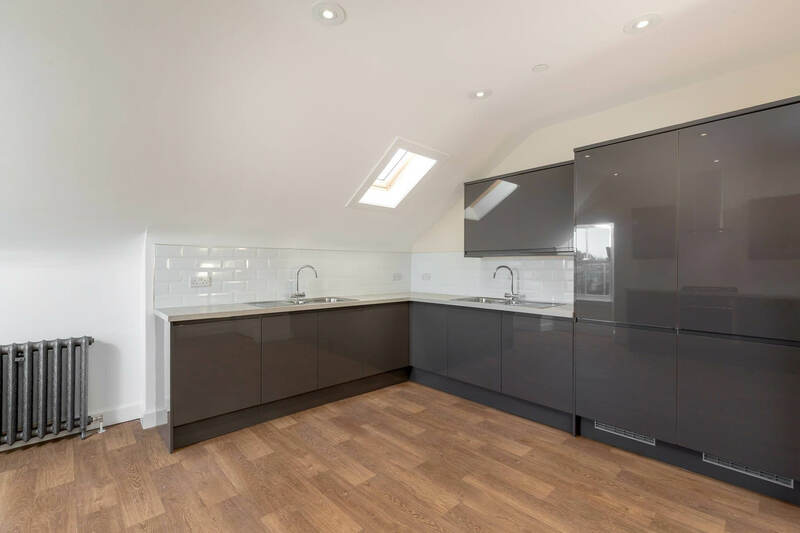 The property had all HMO licensing upgrades carried out to the electrics and doors, the kitchen has been replaced and the rest of the property refurbished to a high standard. The property has been finished to a high standard to attract mature students/young professional. Due to the property’s location, its value will only grow and offer the Client good yields for years to come. To source a property with potential to increase size/value in a traditionally built environment, which would result in a high rental value property and good rental yields. A property was sourced with basic consent for a loft conversion to add three bedrooms. Further consents were gained and the development project added three rooms and two bathrooms, whilst fully refurbishing the rest of the property to a high standard. The property was let during the early stages of the project ‘off plan’ and let as a six bedroom flat so that the tenants could move in immediately after completion. The flat was finished to a high standard and retained/re-introduced many period features. It is well placed to grow in value and the rental returns exceed initial expectations.